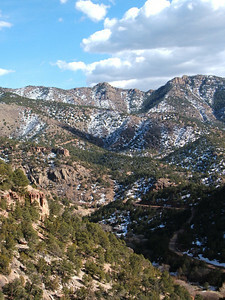 Spent a day climbing at Shelf Road in southern Colorado. 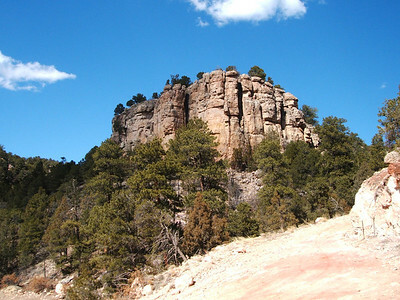 Awesome area: great stone, great routes, beautiful setting. No photos of us actually climbing unfortunately (hard to take photos when it's just you and your partner), but here's a few scenics. Our first destination of the day, the stand-alone cliff Cash Wall. We did an easy 5.6 climb on it. Still a lot of snow on the north facing slopes. It was downright hot on the south facing stuff when the sun was out. 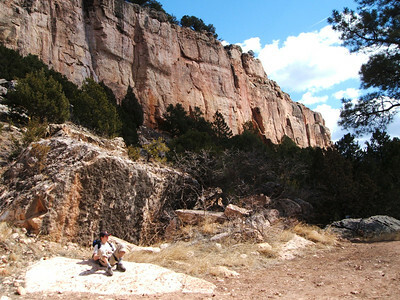 Ryan relaxing below Cactus Cliff. 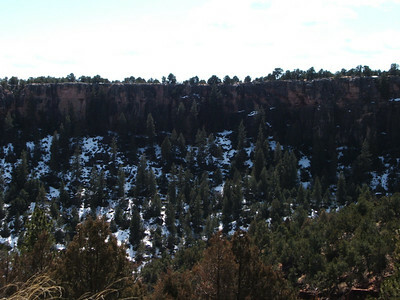 Panorama of one of the major cliffs at Shelf: Cactus Cliff. We barely sampled what the cliff had to offer (2 routes), but both the routes we got on were superb.